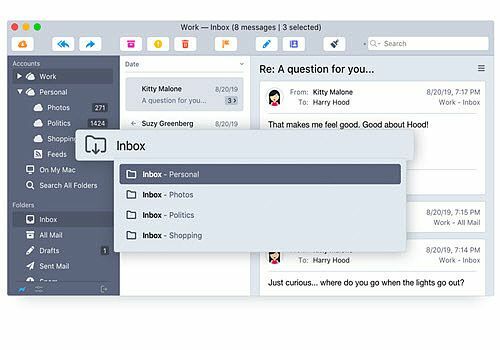 Postbox is a software that will allow you to easily manage the emails you receive. Also available on Mac, this version for Windows benefits from a redesigned and improved interface that allows you to easily manage your various email accounts, classify your emails but also view emails in the form of conversations. Other PostBox features include several dynamic responses that can be sent to your correspondents, email templates and tools to easily frame an image in emails. It is even possible to attach filters to the same images. Postbox easily supports many services such as Yahoo Mail, AOL or Gmail. The software is available for download on our website. Podmailing allows you to send files and folders by e-mail without any size limit and without overloading your mailbox.